Celebrate the summer with a stylish manicure and decorate your nails with the coolest images and symbols. 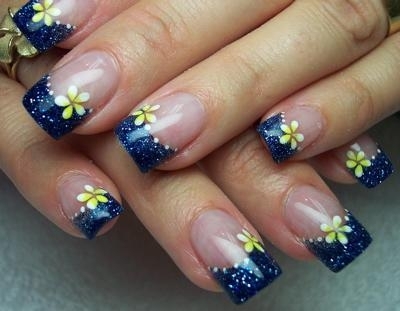 The beach nail art designs offer you the chance to enhance the beauty of both your long acrylic nails as well as that of the medium-length or short nails. Create your own mesmerizing looks and maintain your manicure in its best shape with the basic nail care treatments and rituals. These are some of the most stylish nail art designs to consider before choosing your next manicure style. Flashing your perfectly polished and decorated nails on the beach is one of the coolest beauty tricks of the season. Selecting the most flattering shades that would suit your skin tone and nail shape are some of the main steps towards a stunning manicure. Pro nail artists provide you with endless options to sport your stylish accessories embellished with the most eye-pleasing symbols and images. The latest beach nail art designs include the most sought-after looks and techniques that take nail art to the next level. These examples offer you the chance to choose from various alternatives that would complement your beach outfit as well as your super-long, medium or short nails. 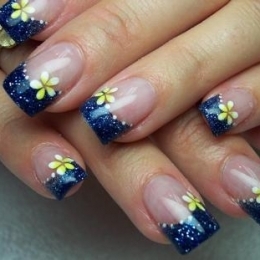 Take a closer glimpse at them to find out more on the newest manicure styles as well as your options to look gorgeous with your worth-admiring nail design. These nail designs often appeal to fruit images as well as popular prints as bows and polka dots. 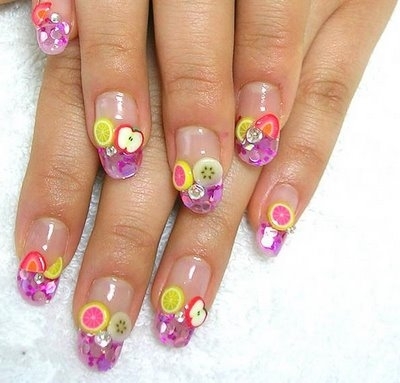 Those who are fond of the colorful and youthful nail art styles will find these the perfect option to live out their girlie manicure fantasies. These might indeed need professional assistance especially due to the additional stick-on decorations. However, those who would like to skip the embellishments can limit themselves to the candy color combo that would make the same sight-pleasing effect. 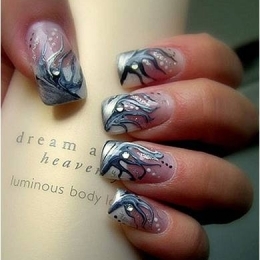 Depending on your decision, make sure you know your dream nail design before heading to the nail salon. 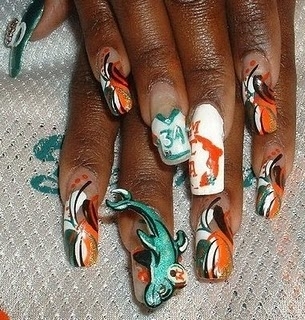 Some would also flirt with the idea of sporting complete marine stories on their nails. The complex designs address nail artist pros who are keen to challenge their skills to a similar project and create out-of-the-ordinary designs. 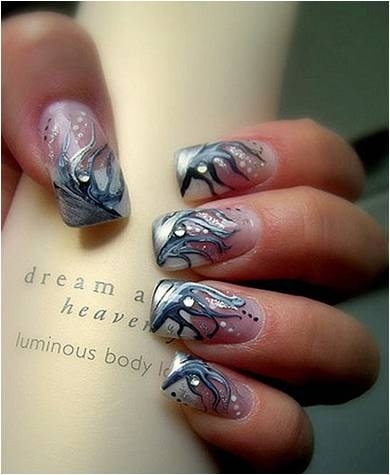 Others might still stick to the aquatic elements and appeal to the endless nail polish shades of blue and underwater floral motifs. These add a more breezy and enchanting impression to your nails and help you complete the summer and ocean vibe of your outfit. Choose the right designs for your nail length and skin tone. Lighter tones attract immediate attention whereas the deeper shades create a more moderate and less prominent still artistic effect. 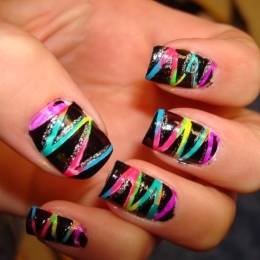 You should not forget about the neon and vibrating nail art as it is extremely popular during the hot season. Consider your favorite shades and copycat this simple zig-zag style nail art design with the proper manicure tools. Combine the various shades to pull off a more complex and versatile look. 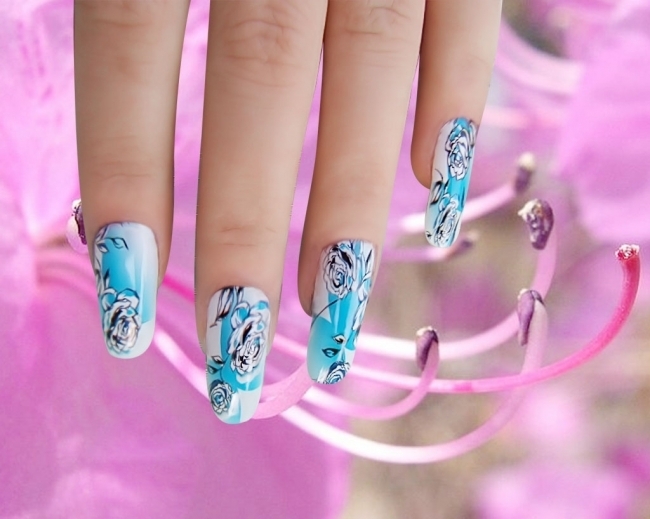 Floral prints are popular not only on the runway but also in the case of nail arts. As some of the easy-to-handle still beautiful designs, these tiny flowers of endless shades perfectly adapt to the beach atmosphere. 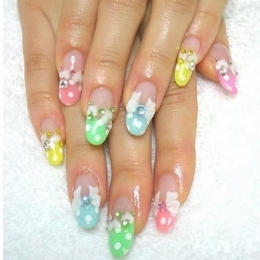 These can be also adapted to pedicure as the simple still colorful looks suit nails of all lenghts. The neutral as well as the matching tones and also the contrasting ones are suitable for every skin tone depending on the effect your are eager to create. Move on a wider color palette to enrich your options to sport up-to-the-minute stylish nails.